What’s on 30A TV ? Is it Time to “Cut The Cord? We get a lot of questions about “cord cutting” relating to the various devices now available on the market as alternatives to cable or satellite television. 30atv has been available on Roku and Amazon Fire for over 5 years. Both of these devices, along with others like Apple TV have been growing exponentially in the last couple of years. Just to put it in perspective, cable television has about 90 million subscribers, whereas Amazon Fire TV now has 50 million subscribers, and Roku 25 million totaling 75 million, and climbing fast. Why is there a surge in these devices while cable television and satellite are losing over one hundred thousand subscribers every month? The simple answer is choices and cost. The rising price of cable versus cord cutting and streaming on the internet with services as Hulu and Netflix versus the cable companies is proving to be attractive. Most households are also paying for internet so why not use the internet to stream your television programming as well? With a one-time purchase of a Roku or an Amazon Firestick (or actual TV’s with built in) and a subscription in the region of $15 per month for Hulu or Netflix, cost of programming versus cable at almost $100 per month, significant savings can be had. So let’s look at a couple of simple steps to explore cord cutting. Step 1 – Find home internet that is stand alone are not part of a pay TV bundle. Step 2 – Explore some of the alternative ways to watch TV. A lot of services have a free trial for a week or ten days so you can try them out before spending any money at all. Step 3 – Cancel your pay TV subscription even if you are unsure if your new streaming service has all of your shows covered. Consider it like a toolbox, what one provider doesn’t carry, another may. There is also a LOT of free TV such as Pluto TV out there. Also, The “Big Three” networks are so sensitive about market share, you can even stream many shows free of charge (sometimes you may have to wait 7 days before they’re available.) Once you discover new services you’ll find a many higher quality TV shows and non-traditional television, and if you find in the future the corde cutting is not for you, your pay-tv company will gladly take you back. My personal favorite device is the Amazon Fire stick. We use a service called iStreamitall for our television VOD (video on demand) and we use an IPTV service for our live TV. We simply add the shows we like to our favorite list, and the section under new episodes tells us when its updated. At $16 a month its been great, and unlike Netflix, their movie list is very up to date, and does not “sunset” or pull movies off like Netflix does. In summary, cord cutting can certainly be a cost saver. Setting it up can require a little bit of knowledge along with reading instructions, but once set up, it works just like your existing tv. Give it a try, if you have any questions, email us at 30atelevision@gmail.com. The post What’s on 30A TV ? Is it Time to “Cut The Cord? appeared first on South Walton Life | 30A News, Events and Community Information. 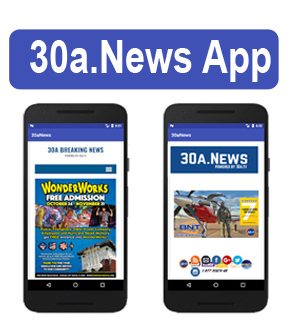 Be the first to comment on "What’s on 30A TV ? Is it Time to “Cut The Cord?"